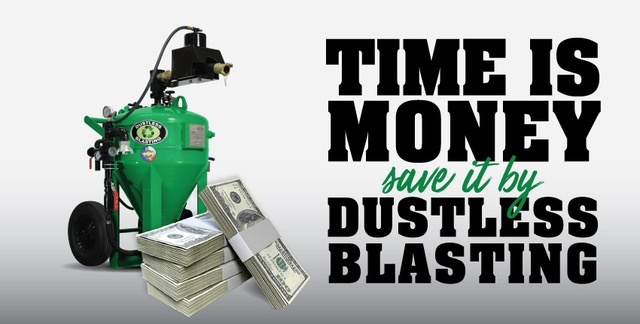 Time is Money, Save It Dustless Blasting! The old saying, "Time is Money", is quite accurate and very relatable to Dustless Blasting. We don't waver in what we tell you about our machines and the necessity that is out there for them. The quicker the better is always heard when someone is waiting to have something done, no matter what it is. Time is Money, save it Dustless Blasting! There are only 24 hours in a day. Don't waste the value of that time performing a task with old technology. Time is Money and it can be saved with Dustless Blasting.